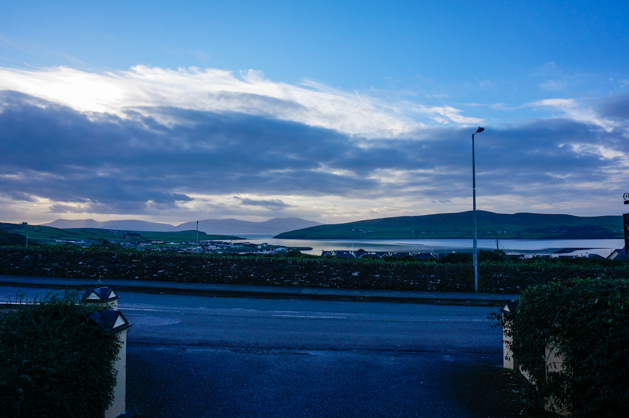 I mean, who would want to leave when this is the sunrise view from the front porch of your bed & breakfast? 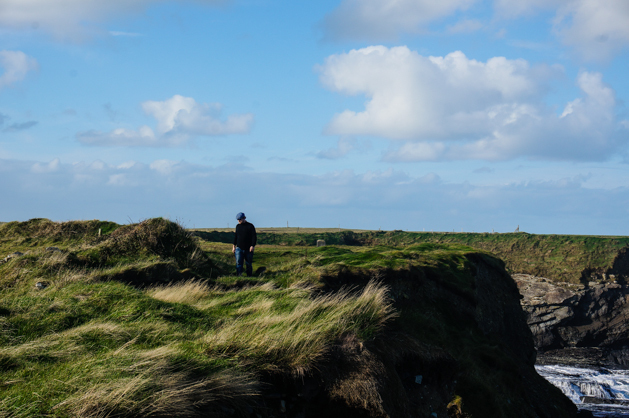 But, more of Ireland was just waiting to be explored, and we had to get an early start. One perk of the morning was that we got to drive Conor Pass one last time. Let’s be honest, there was no “we” in driving – Adam was the sole driver and I just played naviga-ooh look pretty views, pull over. 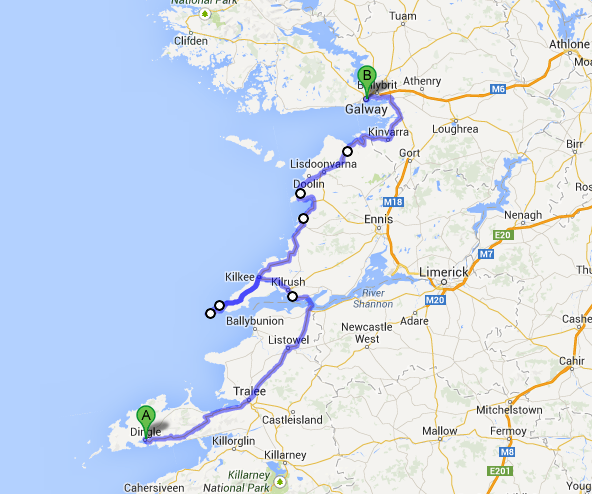 Our route today was pretty straight-forward, primarily driving north, along the coast, and taking a ferry across the River Shannon. 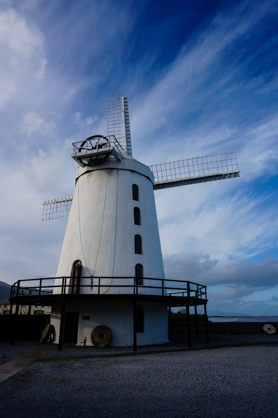 Our first stop this day was the Blennerville Windmill which was built in 1800 an recently restored after years of neglect. Then we took the ferry across the River Shannon and ate lunch in Kilrush. While eating the most amazing baked potato of my life (topped with mozzarella and bacon!) 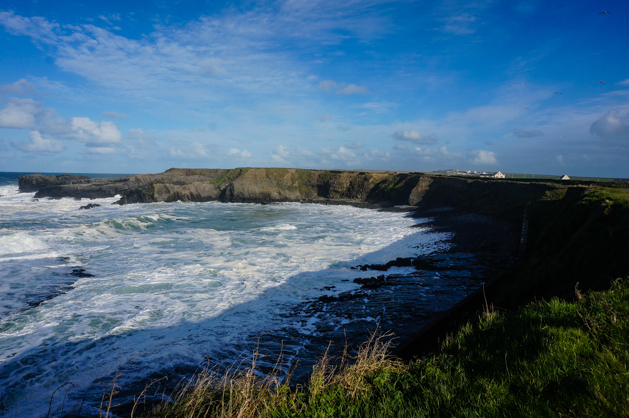 a kind older couple chatted with us and insisted we drive out to Loop Head. 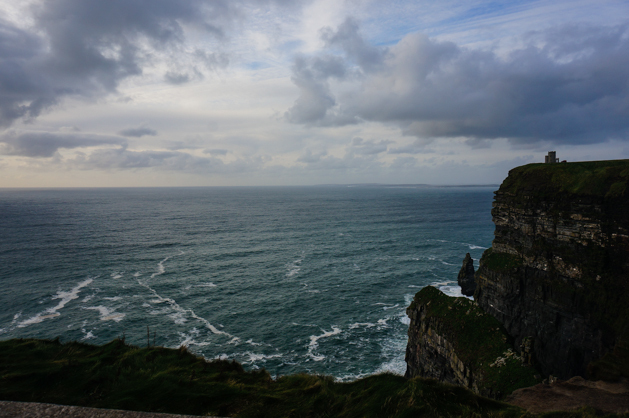 It was a slight detour on our route but they promised cliff views that rivaled the Cliffs of Moher. 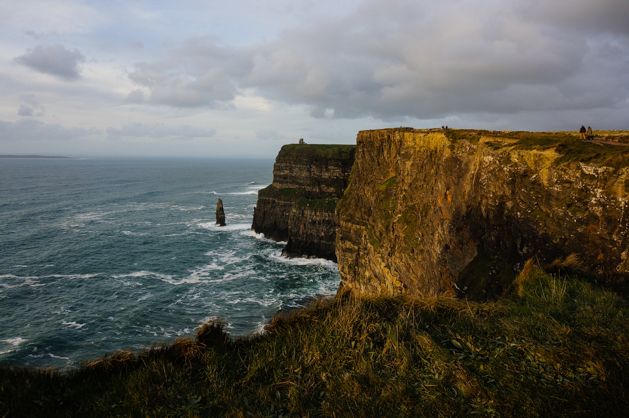 We absolutely lucked out on this recommendation not only were the cliffs FREE (Cliffs of Moher charged 6 euro per adult) there were no other tourists there and they remained virtually untouched. The only signs of visitors were worn trails in pastures along the cliff line. 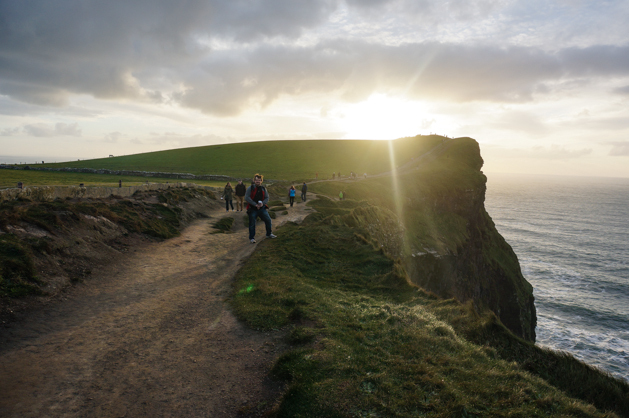 We walked along the cliffs for close to an hour and could have stayed longer, but knew we still had to book it to make it to the more famous cliffs before sunset. 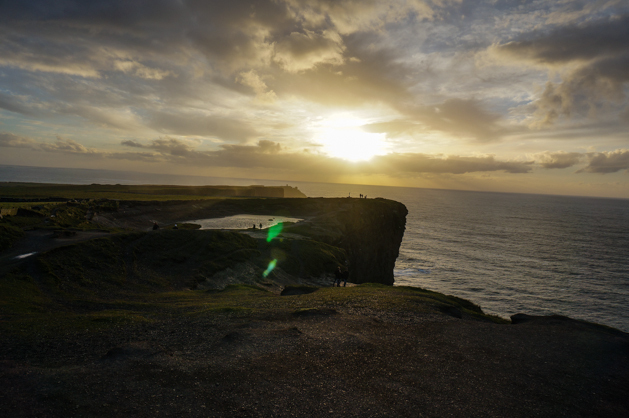 And then we pulled into the parking lot at the Cliffs of Moher right at the start of the “golden hour”, which led to spectacular lighting for pictures (Adam’s are amazing). 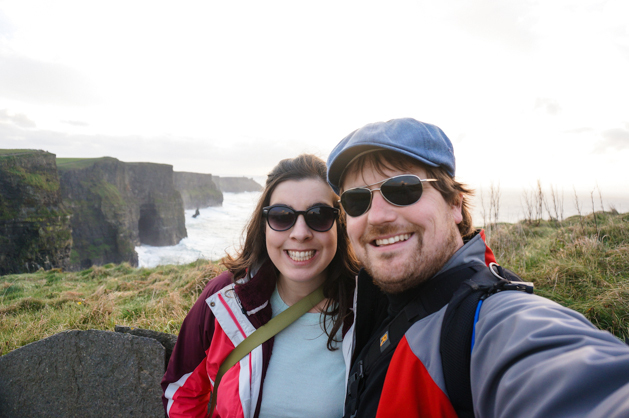 We spent another hour or so walking along the edges and taking pictures before it got so dark that we needed to head back to the car and finish up our journey to Galway. 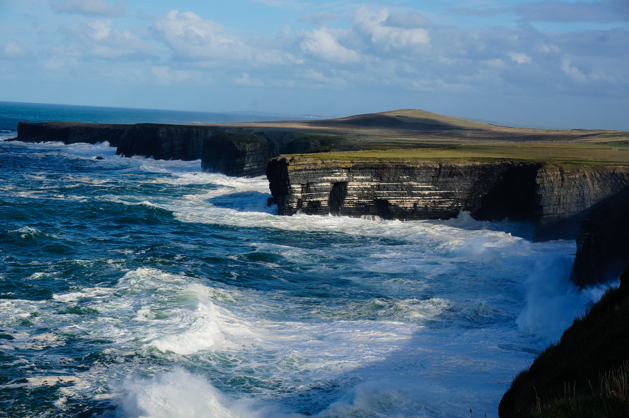 While we enjoyed the Cliffs – the views from and stature of them were quite impressive, it was the first time on our trip that we were crowded by other tourists and realized just how spoiled we had been up until this point. Galway. Oh, Galway. 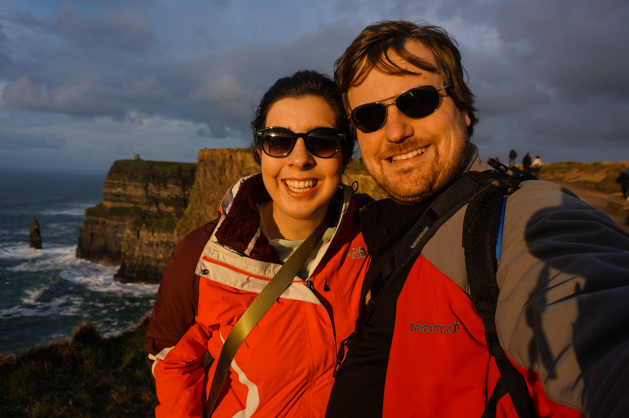 The first time on our trip where our GPS led us astray, not once, but 3 times. 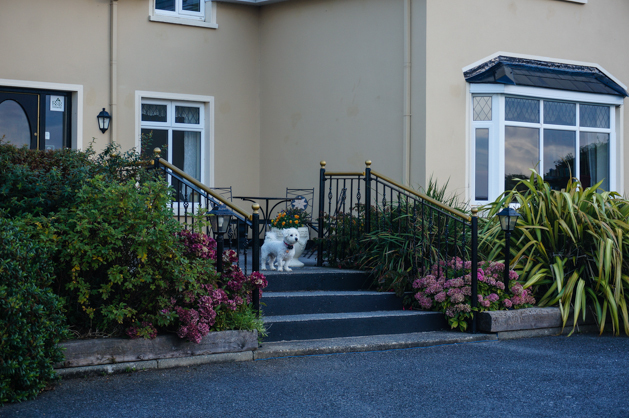 But finally, after an hour driving around the city, we found our bed & breakfast – Marless House. 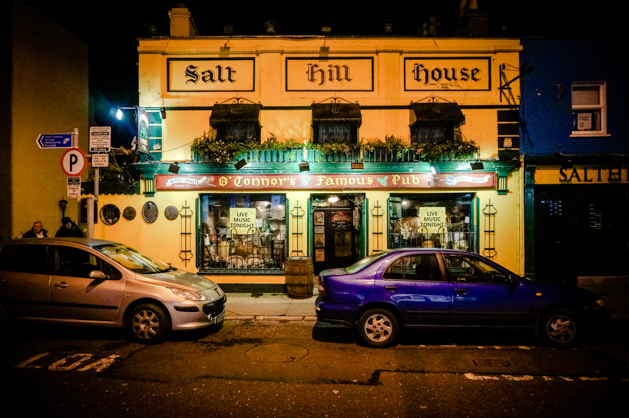 Once we parked the car and took our bags to our room, we asked the host for directions to food and pubs – the most important parts of any Irish evening. 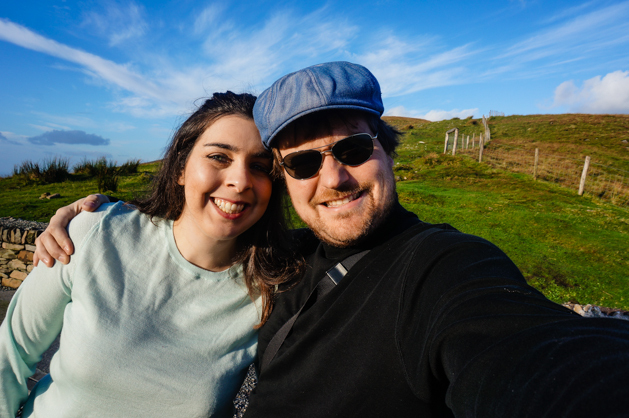 We strolled to Salthill about a half mile from the B&B and found ourselves eating in a very popular (and delicious) pizzeria, Da Roberta. 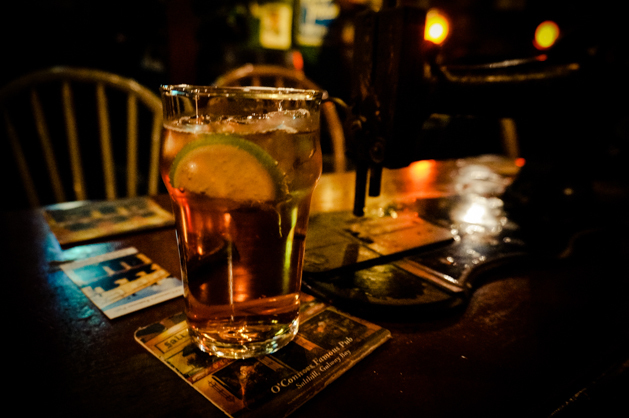 After dinner, we walked a couple of doors down to O’Connor’s Pub for a drink. 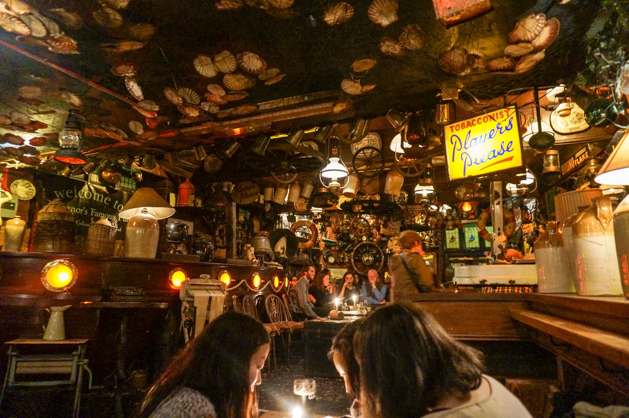 This pub was very eclectic and quite busy. I loved that we sat on an old church pew and our “table” was an old Singer sewing machine table. After 2 drinks each, we called it a night and headed to bed, for tomorrow we were off to Dublin!